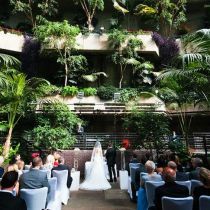 This lush tropical oasis is home to finches, quails, exotic fish and 2,000 species of tropical plants and is licensed to host wedding and civil partnership ceremonies. 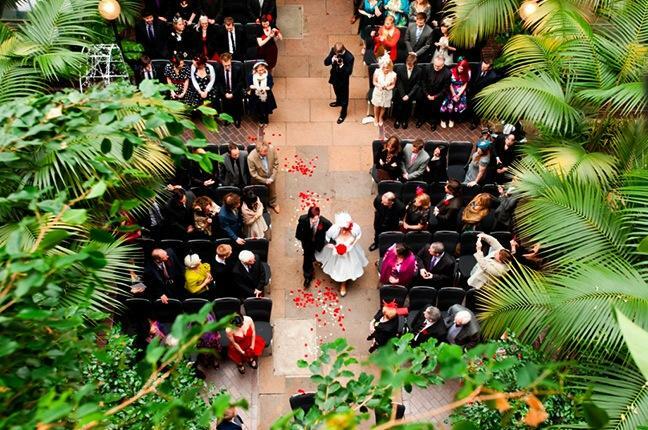 Once you have completed your wedding vows, let your photographer whisk you away to our secluded couples area, whilst we serve your guests with champagne and canapes. 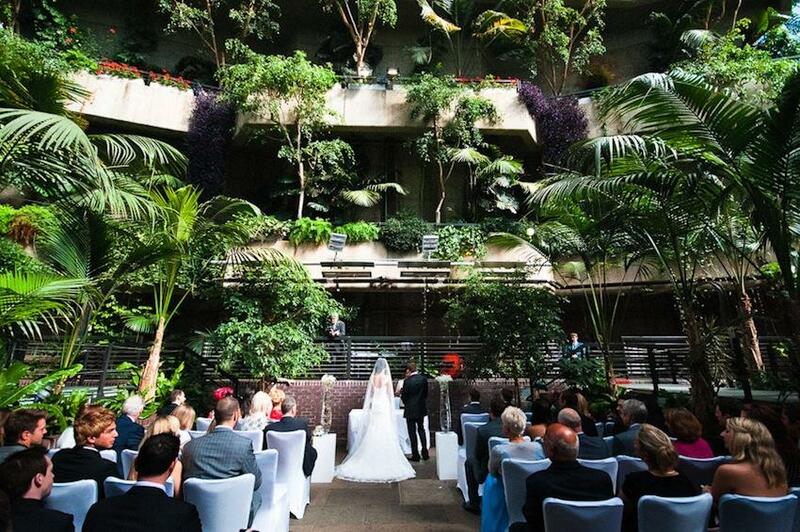 To complete the picture the contemporary Garden Room is ideal for your wedding breakfast. A full range of packages and menus are available with the flexibility to personalise and adapt these to your own taste. 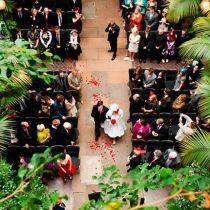 Whatever the size of your wedding party, Searcy, our in-house caterers have a dedicated and enthusiastic team of event managers who are able to guide you through every aspect of this most important day in your life.